After collaborating with PUMA on a full collection, pop star Selena Gomez introduces her latest sneaker with the sports brand. 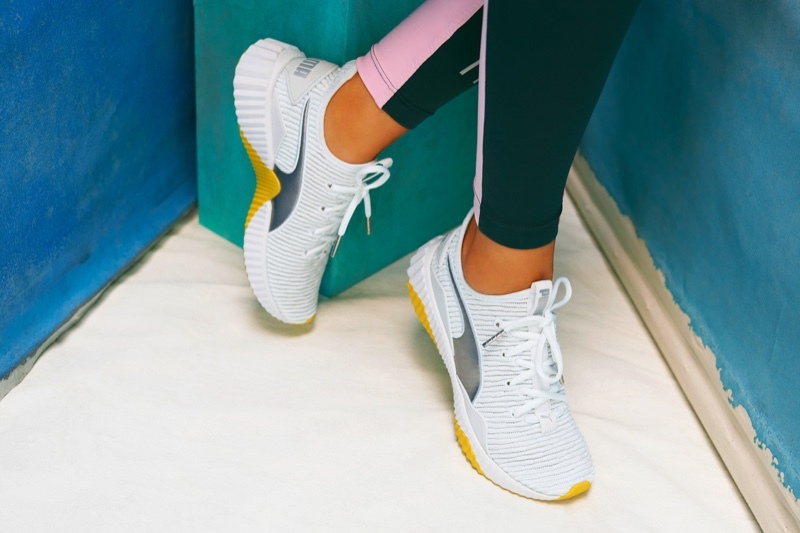 The DEFY Trailblazer comes in a sleek silhouette complete with a blazing white and yellow colorway. A metallic silver accent as well as platform and knitted outer makes this sneaker beyond cool. Selena shows off her figure in a sporty look complete with a cropped hoodie, graphic sports bra and color-blocked leggings.